Bob Barbier practices in the areas of admiralty and tort litigation. 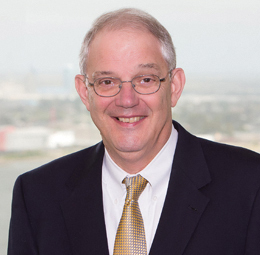 He has litigated cases in all areas of maritime law and non-maritime products liability law in Louisiana, Mississippi and the territory of Guam, and has handled numerous appeals in the Louisiana Court system and before the U.S. Court of Appeals for the Fifth Circuit. While he has litigated cases in all areas of maritime law, he generally represents owners, charterers, and/or underwriters in defense of personal injury claims, both blue and brown water, and cargo claims, as well as handling FD&D claims, ship construction disputes, Rule B attachments, dock damage, environmental and Coast Guard matters. 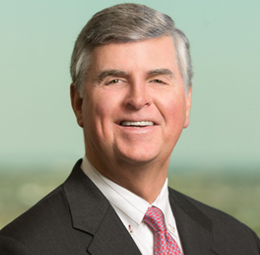 Prior to joining Phelps Dunbar, he was with Terriberry, Carroll & Yancey LLP law firm in New Orleans. Obtained dismissal of the ship owner from a multi-million dollar claim for cargo lost overboard during rough weather in the North Atlantic. Regularly defends ship owners and charterers in defense of seamen and longshoremen personal injury claims. Regularly defends ship owners and charterers in defense of cargo claims, as well as advising clients in bill of lading problems. Defended ship owner in claims arising under the Fire Statute resulting in multi-million dollar cargo loss. Represented ship owner in multiple cargo damage claims involved in vessels departing port under hurricane conditions. Defended P&I Club in direct action claim, as the result of the sinking of a tug beat between Guam and Colombia. Successfully obtained seizure of cargo under Rule B to obtain security for claims pending in London arbitration. Represented ship owners in arbitrations arising out of ship construction contracts. Defended vessel owners in claims arising out of vessel groundings. Advise vessel owners and charterers in obligations and responsibilities under charter party agreements.